Freedom when you want it. Structure where you choose it. Abacus is a unique maths toolkit for inspiring a love of maths and ensuring progression for every child. Written by an expert author team, it has been carefully crafted on a robust approach to creating inspired and confident young mathematicians. 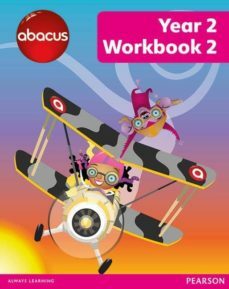 Part of the Abacus toolkit, the workbooks provide: - easy instructions for a teacher to explain to children - an Action to make the activity more practical - a Think to provide extra challenge - a self-assessment opportunity on every page - colour to indicate the different maths areas within the programme.